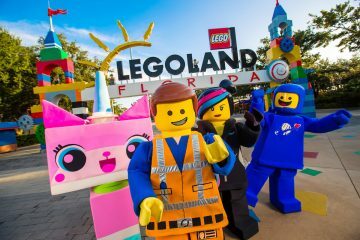 Flying theater attractions aren’t anything new for Orlando theme parks, but Legoland Florida is promising its Lego Movie Masters of Flight attraction opening next year will literally put a new spin on the concept. 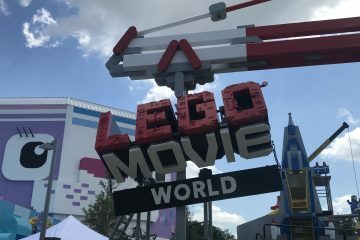 Unlike similar rides such as Epcot’s Soarin’, the Legoland attraction will incorporate a 180-degree turn after riders are seated in a vehicle shaped like the Triple Decker Couch to be featured in the Lego Movie sequel due out in February. It’s the first application of a ride system developed by Taiwan-based ride manufacturer Brogent Technologies, hyped as enhancing the “big reveal” for flying theaters. 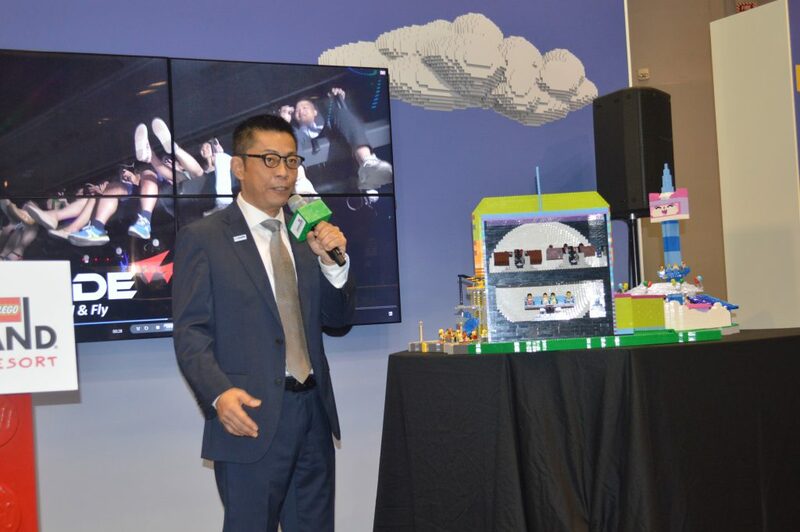 “This will fully immerse the guest in the experience they’re seeing on the screen,” said Tim Chen, Brogent’s sales and marketing director, said at the International Association of Amusement Parks and Attractions (IAAPA) Expo. Once guests are rotated, they’ll be swung and pitched in front of a massive dome screen animated with Lego Movie locales like Cloud Cuckoo Land, Middle Zealand, and Pirate’s Cove. Chen added that wind, mist and smell effects will be used to enhance the ride experience. When the ride goes through Pirate’s Cove, for example, he said guests will be able to smell the cannon fire from a naval battle. 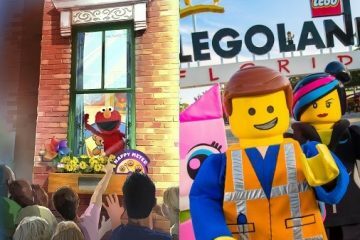 Lego Movie voice actors are also involved in the project. Legoland’s presentation included footage of Nick Offerman voicing new material as the pirate character Metalbeard for the ride film. 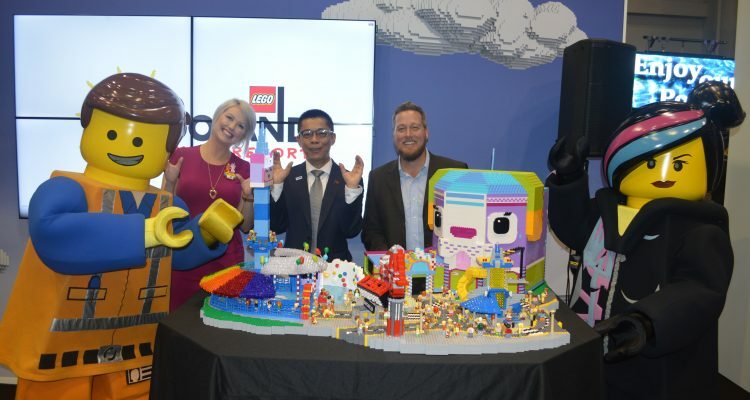 The attraction is one of three for the new Lego Movie World set to open in early spring 2019. 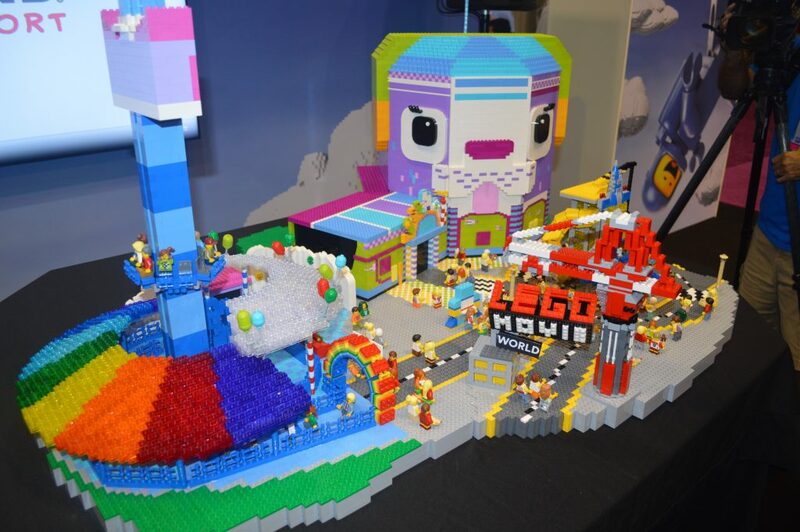 The other two are Unikitty’s Disco Drop and the Battle of Bricksburg, a boat ride which is a rethemed version of the park’s shuttered Quest for Chi attraction. 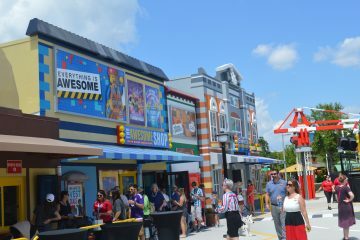 Legoland officials said the park has yet to settle on possible height restrictions for the new rides, a key indicator of the thrill level riders can expect.